MUMBAI – MAHARASHTRA – INDIA MARCH 03, 2015 01.30 A.M.
For the full understanding of my body of work in 2013 – 2014 / 2014 – 2015, I am posting links of the 05 videos. Amit Mehra, son of legendary producer-director Prakash Mehra died on February 28, 2015 in the morning after suffering a cardiac attack. He was just 40. He, in 2013, re-made Prakash Mehra’s super hit classic cult film ” Zanjeer ” [ 1973 ] . Though Amitabh Bachchan, Pran and Jaya Bachchan starrer original ” Zanjeer “ was a super hit but the Ram Charan, Sanjay Dutt and Priyanka Chopra starrer remake was an astounding flop. His other siblings are Sumeet and Puneet Mehra. Veteran Hindi and Marathi actor Ajay Wadhavkar, who last played the role of Sushant Singh Rajput’s father in the TV show Pavitra Rishta, passed away in Pune. Ajay, who shot to fame as Ganpat Hawaldar with DD’s Nukkad, was suffering from throat cancer and diabetes and was under treatment at Nanavati hospital in Mumbai. In total …………… 15 …………….. films got released in February . Out of these ………….. 15 ………… released films ……….. 04 ………… films have …………… 09 ……………. artistes , who are trained by me . Out of these ………. 09 ……… persons , ………. 08 ……… are actors . And the remaining …………. 01 ………… Kishan Kumar is the co-producer of ” Roy ” . In February 2015 just 09 students appeared in 04 films . Thus this month becomes one of the worst months of my career. 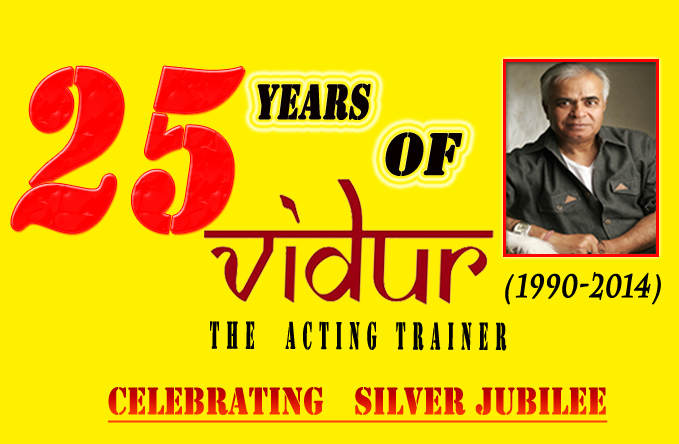 On behalf of all the students and staff of VIDUR Acting Institute , VIDUR Editing Studio , VIDUR Club and VIDUR Merchandise, I congratulate my above mentioned 09 students . May God bless them always ! Chacha Choudhary Is No More ! MUMBAI – MAHARASHTRA – INDIA AUGUST 13, 2014 11.55 P.M. If I mention that Pran Kumar Sharma died on August 05, 2014, only few will take notice. But if I mention that creator of CHACHA CHOUDHARY died in Gurgaon on August 05, 2014 at the age of 75, thousands will mourn.When I read about the sad demise of creator of CHACHA CHOUDHARY, I felt a personal loss. He was suffering from Colon cancer. Pran began his career in 1960 as a cartoonist for the Delhi based newspaper Milap with comic strip Daabu. Apart from Daabu, Indian comics scenario was largely based on reprints of The Phantom and Superman. In 1969, Pran sketched Chacha Chaudhary for the Hindi magazine Lotpot, which made him famous. Pran has also created other cartoon characters like Shrimatiji, Pinki, Billoo, Raman, Channi Chachi and others, which are regularly published in Indian magazines. Pran reached lakhs of Kannadigas through his Putti, Raman that were published in Kannada daily Prajavani and Shrimathi which publishes in Kannada magazine Sudha. He was included in People of the Year 1995 by Limca Book of Records for popularizing comics in India. In 1983, the then Prime Minister of India, Mrs. Indira Gandhi released Pran’s comics “Raman – Ham Ek Hain” which promoted national integration. Pran received a Lifetime Achievement Award 2001, from Indian Institute of Cartoonists. Pran has also given lessons in cartooning at the Pran’s Media Institute, run by his son Nikhil. Maurice Horn notes that Pran has been given the title of “Walt Disney of India” in The World Encyclopedia of Comics. The Chacha Chaudhary strips find permanent place in International Museum of Cartoon Art, USA. Since my childhood days in Deoria, I was a huge fan of Mandrake The Magician and Phantom. Both the comic strips used to be published daily in a popular Hindi daily of those days ” AAJ “. Mandrake became Mandareek and Phantom became Van Bhairav in Hindi. My day never began unless I read these two syndicated comic strips in ” AAJ “. Mandrake the Magician is a syndicated newspaper comic strip, created by Lee Falk . Its publication began June 11, 1934. Phil Davis soon took over as the strip’s illustrator, while Falk continued to script. The strip is distributed by King Features Syndicate. After hugely popular Mandrake the Magician, Lee Falk , created another adventure comic strip , The Phantom . A popular feature adapted into many media, including television, film and video games, it stars a costumed crime fighter operating from the fictional African country Bangalla. The Phantom is the 21st in a line of crime fighters that originated in 1536, when the father of British sailor Christopher Walker was killed during a pirate attack. Swearing an oath on the skull of his father’s murderer to fight evil, Christopher started the legacy of the Phantom that would be passed from father to son, leaving people to give the mysterious figure nicknames such as “The Ghost Who Walks”, “The Man Who Cannot Die” and “Guardian of the Eastern Dark”, believing him to be immortal. Unlike many fictional costumed heroes, the Phantom does not have any superpowers, and relies on his strength, intelligence, and fearsome reputation of being an immortal ghost to defeat his foes. The 21st Phantom is married to Diana Palmer, whom he met while studying in the United States; they have two children, Kit and Heloise. Like all previous Phantoms, he lives in the ancient Skull Cave, and has a trained wolf, Devil, and a horse named Hero. The series began with a daily newspaper strip on February 17, 1936, followed by a color Sunday strip on May 28, 1939; both are still running as of 2014. At the peak of its popularity, the strip was read by over 100 million people each day. Lee Falk continued work on The Phantom until his death in 1999. Today the comic strip is produced by writer Tony DePaul and artists Paul Ryan (Monday-Saturday) and Terry Beatty (Sunday). New Phantom stories are published in comic books in different parts of the world, among them by Dynamite Entertainment in the United States, Egmont in Sweden, Norway and Finland, and Frew Publications in Australia. The Phantom was the first fictional hero to wear the skin-tight costume that has now become a hallmark of comic book superheroes, and was also the first shown wearing a mask with no visible pupils, another superhero standard. Being a fan of above mentioned two comic strip heroes; Mandrake The Magician and Phantom, I was skeptical , rather dismissive when I read about cartoonist Pran and his Desi Comic strip hero CHACHA CHOUDHARY. What can a mustachioed elderly man do in front of such powerful heroes like Mandrake and Phantom? But I was wrong. When I read adventures of CHACHA CHOUDHARY in Diamond Comics , I became a life-long fan.The bond with CHACHA CHOUDHARY, BINNI CHACHI and SABU is unbreakable. 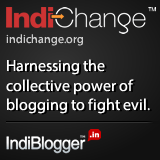 I still remember and will always remember the famous tagline “…….. Chacha Choudhary ka dimag, computer se bhi tez chalta hai ………”. According to a Diamond Comics press release, the Indian kids in the age group 10–13 years ranked Chacha Chaudhary as their most recognizable comic book character. He has also been featured as a guest in other Diamond Comics series, with Billoo, Pinki and Lucky. With the sad demise of cartoonist Pran, CHACHA CHOUDHARY wont be same again. May be he will also die soon.One more part of my adolescent , growing years is lost forever. On behalf of all the students and staff of VIDUR Acting Institute , VIDUR Editing Studio , VIDUR Club and VIDUR Merchandise, I offer my condolences. CHACHA CHOUDHARY is a part of my growing years. His memory is firmly etched in my psyche. MUMBAI – MAHARASHTRA – INDIA JUNE 03, 2014 11.50 P.M. Noted character artiste of yesteryear Bhagwandas Mulchand Luthria or Sudhir as he was lovingly called, passed away after battling through a prolonged lung illness. He died on 12 May 2014 at the age of 70. He had long been suffering from a lung infection. I know that Sudhir’s name wont ring a bell in the ears of many film lovers. Even keen connoisseurs of Hindi cinema would scratch their heads, might try to figure out or unsuccessfully try to remember and then fail to recognize the persona and identity of an actor called Sudhir. Nothing much is available about his body of work or about his personal life in the print or electronic media. But if film lovers happen to see some of his pictures, they will immediately recognize him. He was quite popular figure among the movie-goers. Who can fail to recognize him in the pictures posted below? 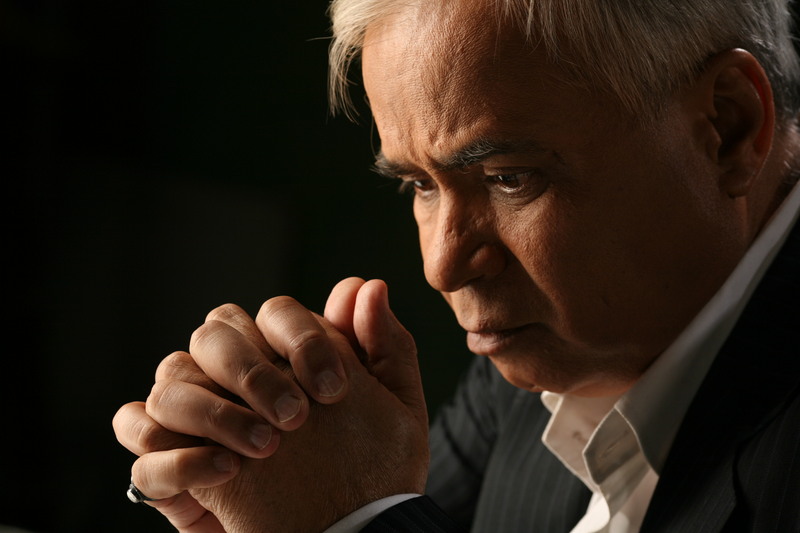 Sudhir’s acting was always complimented with his dramatic outfits. He was best known for his role in the film Satte Pe Satta with Amitabh Bachchan. He acted in over 200 films in a career spanning from 1962 to 2009. He was one of Bollywood’s best known baddies from the 1970s through to the 1990s. He would usually play the second-in-command sidekick to villains Ajit, Premnath and Pran or the torturous police inspector or a sleazy man. He was most known for his shrill voice, long moustache and sideburns. He starred in at least a dozen Amitabh Bachchan movies, such as Satte Pe Satta and Shaan. His biggest claim to fame was probably in Feroz Khan’s 1974 hit Khote Sikkay, as the handicapped thief in Dev Anand’s Hare Rama Hare Krishna (1971) and in Shah Rukh Khan-starrer Baadshah (1999). His recent and last film appearances were in Jhoom Barabar Jhoom (2007) and Victoria House (2009). He was also filmmaker Milan Luthria’s paternal uncle. Few films gave him decent screen time and well-etched characters. Feroz Khan’s superhit ” Khote Sikkay ” [ 1974 ] was an exception. Here Sudhir got a chance to show his acting skills. Later, they did sequel of the film ” Khote Sikkay “ called ” Kachche Heere “, where Sudhir reprised his earlier role. But the film did not work at the Box Office. Sudhir was also a regular in almost every Navketan Film after 1970s. Sudhir even worked with Ravi Tandon in hit films like ” Muqaddar ” and ” Majboor “. Though his illness distanced him from everyone in the film fraternity, his contribution to the movies cannot be ignored. It is surely a loss for his fans. On behalf of all the students and staff of VIDUR Acting Institute , I offer my condolences and prayers to the departed soul. VIDUR Editing Studio, VIDUR Club and VIDUR Merchandise would also like to express profound grief. MUMBAI – MAHARASHTRA – INDIA MARCH 17 , 2014 11.40 P.M.
Today when the Hindus , all over the world , are celebrating Holi and rejoicing in festivity , I am sitting in my study in Mumbai and writing this blog about Lakshmi Talkies , Allahabad with tearful eyes . I am struggling for words . I am unable to form sentences . I am full of emotions . Lakshmi Talkies will not ring a familiar bell for several anonymous people or the lovers of cinema . May be some will be familiar of some Lakshmi Talkies of their own cities . But here I am talking about Lakshmi Talkies of Allahabad , Uttar Pradesh . When I read the post and saw the photograph , I became numb . I was stunned . I was shaken . I was saddened beyond words . I was emotionally disturbed . I spent a sleepless night . Even now as I am writing the blog , my heart refuses to believe that this is a reality . I was a regular patron of Lakshmi Talkies during my Ganga Nath Jha hostel days . Lakshmi Talkies of Allahabad was a part of my life . Lakshmi Talkies holds a special place for me because Lakshmi Talkies was an integral part of my Allahabad University days . It’s magnificent structure is still fresh in my memory . So when I saw the above picture of a desolate Lakshmi Talkies with moth – eaten walls , broken window panes and barbed wire fencing , I wanted to cry . I wanted to mourn . 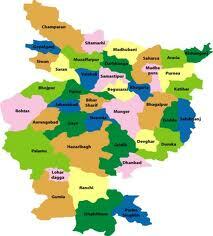 I , after passing High School , left my birth place Deoria in 1967 and went to Allahabad for higher studies . Deoria had two cinema halls at that time but being in a small city like Deoria , they were not grand or magnificent , like cinema halls of bigger cities . Allahabad was much bigger city compared to Deoria , so the cinema halls were also huge and opulent . I landed in Allahabad in July 1967 with glitter in my eyes , hope and dreams in my heart for my better future . I , as a 15-year-old small town boy , was fascinated by Allahabad , the city and its atmosphere . Slowly I started getting acquainted with the city of Allahabad . Being a movie buff , I started looking about cinema halls and thus came to know about Lakshmi Talkies at Katara . Lakshmi Talkies management had this strategy of re – releasing old Hindi films . So for me this was a boon because I could now watch all the old classics which I had missed in Deoria . ” Door Ki Awaaz ” [ 1964 ] , a film directed and produced by Devendra Goel was the first ever film which I watched in Lakshmi Talkies . The Joy Mukherjee , Saira Banu , Pran , Johny Walker and Om Prakash starrer film has some popular Mohammad Rafi gems like , “Ek Musafir Ko Duniya Men Kya Chahiye ……………………….” , ” Husn Se Chand Bhi Sharmaya Hai , Teri Soorat Ne Ghazab Dhaya Hai ……………..” , ” Muqaddar Aazmana Chahta Hoon , Tujhe Apna Banan Chahta Hoon ……………………………. “ , and a lovely duet of Mohammad Rafi with Asha Bhosle ” Haathon Men Haath Hothon Pe Afsane Pyar Ke ……………………” , and the last but not the least , a song sung by Mohammad Rafi , Manna Dey and Asha Bhosle ” Hum Bhi Agar Bachche Hote Nam Hamara Hota Gabloo , Babloo , Khane Ko Milte Laddoo , Aur Duniya Kehti …………….. Happy Birthday To You …………………” . All these lovely songs were tuned by music director Ravi . The film , the songs and the whole movie going experience is still fresh in my memory even after 47 long , strife – torn and eventful years of my life . 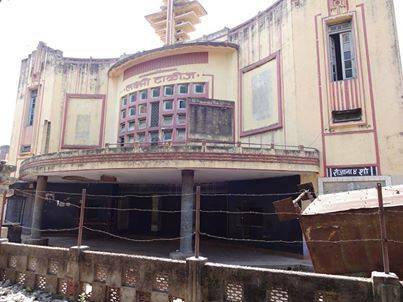 The last film I watched in Lakshmi Talkies was in 1971 . It was a Hemant Kumar produced and Asit Sen directed ” Khamoshi ” [ 1969 ] . During the same year they also opened a skating ring in the western side of the compound . It was a new experience . 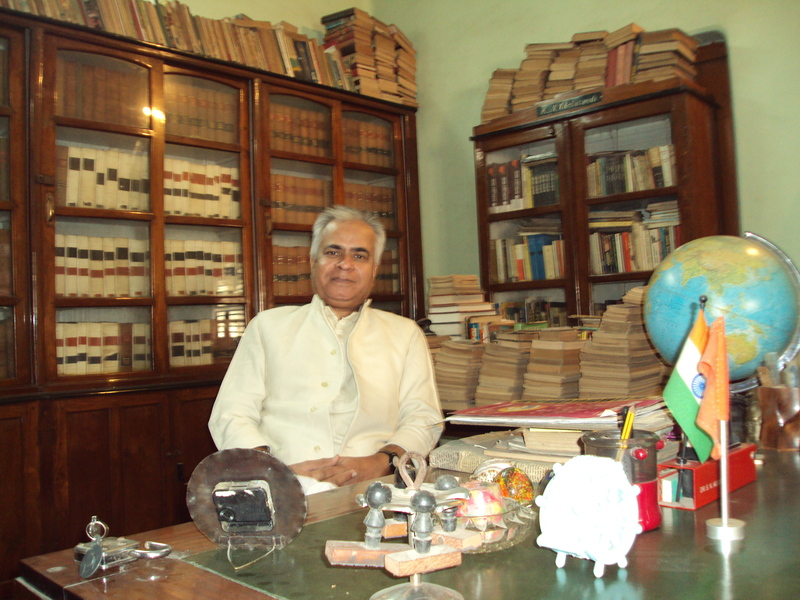 I completed graduation in 1971 and left Allahabad and came to Bombay [ now Mumbai ] . One year after I left Mumbai again and came to Allahabad to complete my post graduation . So I was in Allahabad and staying in the same Ganga Nath Jha Hostel again from 1972 to 1974 before finally bidding adieu to Allahabad in 1975 . During this period I did watch couple of films in Lakshmi talkies but I don’t remember them . But I do remember a concert of Pandit Ravi Shankar with Alla Rakha Khan , which I was fortunate enough to attend . One evening my friend Pramod Vajpayee came running and informed me about the concert . It was in aid of some NGO . So the ticket rates were low . We went , bought the tickets and took our seat in the packed hall . That evening is still fresh in my memory . It was a life – time experience . And now 40 years later in March 2014 , I read this posting about the closure of Lakshmi Talkies on the facebook time line of Shri Neeraj Sri and the world of my emotional memory crumbled at one go . A part of my life is gone forever . A silent witness of my many lonely evenings is going to be silent very soon . On behalf of all the students and staff of VIDUR Acting Institute , I condole the demise of Lakshmi Talkies . VIDUR Editing Studio , VIDUR Club and VIDUR Theatre would also like to express grief and pain . MUMBAI – MAHARASHTRA – INDIA NOVEMBER 06 , 2013 08.25 P.M. 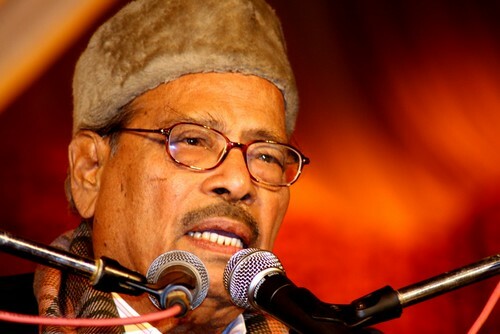 The news of Manna Dey’s death was almost a certainty and was expected . 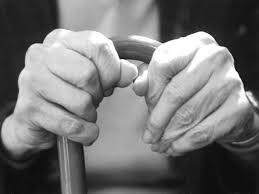 Advancing age and failing health had prepared us for such an eventuality . Still when I read about his demise , a pall of gloom engulfed me . He died on October 24 , 2013 in Bengaluru at the age of 94 . Manna Dey , along with Mohammad Rafi , Mukesh , Kishore Kumar , Talat Mehmood and Hemant Kumar , was the most important play back singer of the golden era of Hindi films and a force to reckon with in singing world . With his demise , the last remnant of the golden era of Hindi film music and a gigantic figure among the male play back singers of Hindi film world is gone forever . Before proceeding further , I must admit my blasphemy that initially I used to dislike his singing . Today as I can understand the nuances of music , I am ashamed of my blasphemy and I am extremely sorry that during my adolescent years , I was unable to appreciate his mastery of the art and craft . The first song of Manna Dey , which I liked and appreciated was the iconic ” Qasme Waade Pyaar Wafa , Sab Baaten Hain Baaton Kaa Kyaa ………………………………………. ” , the song from Manoj Kumar’s ” Upkar ” [ 1967 ] . I was speechless and stunned while listening the song and watching Pran Saheb on screen . It is uncanny that Pran Saheb and his screen voice in many films , Manna Da , both died in 2013 . Pran Saheb left us on July 12 , 2013 and just 3 months 12 days later , his voice on-screen , Manna Da also left us on October 24 , 2013 . Later on when I started watching old Hindi films in Allahabad in Sunday morning shows , I watched ” Shri 420 ” [ 1955 ] , I was hooked to his voice . ” Pyaar Hua Iqraar Hua , Phir Pyaar Se Ab Kyon Darta Hai Dil …………………………… ” , ” Dil Ka Haal Sune Dilwaalaa …………………………… ” , ” Mud Mud Ke Na Dekh ………………………. ” and the evergreen ” Ramaiya Vastavaiya ……………… “ are difficult to forget . After watching ” Chori Chori ” [ 1956 ] , I was mesmerized by his voice . His duets with Lata Mangeshkar are immortal and they are pure gems . ” Aajaa Sanam , Madhur Chandni Men Ham ……………………………….. ” and ” Ye Raat Bheegi Bheegi , Ye Mast Fizayen …………………………………… “ refuse to fade away from my memory even after 57 years . Who can forget his other immortal melodies like ; ” Ae Mere Pyare Watan …………… ” , ” Ik Chatur Naar Karke Singar ………………………………. ” , ” Poochho Na Kaise Maine Rain Bitayee ………………………………………. ” , ” Aao Twist Karen ………………………………………………. ” , ” Yaari Hai Eemaan Meraa …………………………………….. ” and ” Ye Dosti Ham Nahin Chhodenge ……………………………………. ” ? Known by his stage name Manna Dey , he debuted in the film ” Tamanna ” [ 1942 ] , and continued to sing till ” Umar ” [ 2006 ] . He went on to record more than 4000 songs during 1942 – 2013 . He , though sang for other heroes occasionally , was the voice of Raj Kapoor , Uttam Kumar , Mehmood and Pran . Since 1992, Manna Dey withdrew himself from Hindi film music. But he continued to sing in Bengali movies, bhajans and ghazals in different languages and appeared in live performances during 1992 to 2012 . His last live performance was in 2012 in Mumbai. His last recorded song in Hindi films was for the film Umar in 2006 composed by Shamir Tandon, Duniyawaalo Kee Nahee Kuchh Bhee Khabar, which he sang along with Kavita Krishnamoorthy and Sonu Nigam. He sang duets with singers like Mukesh, Sandhya Mukherjee, Mahendra Kapoor, Talat Mahmood, Amit Kumar, Shailendra Singh, Krishna Kalle, Shardha Rajan Iyengar, Arati Mukherjee, Chandrani Mukherjee, Anuradha Pudwal, Hemlata, Minu Purushottom, Bhupinder Singh, K.J. Yesudas, Suresh Wadkar, Kavita Krishnamoorty, Alka Yagnik, Antara Chowdhury, Preeti Sagar, Dilraj Kaur, Yunus Fazmi, Jaspal Singh, Anwar, Manhar Udhas, Joginder and Mubarak Begum. He worked with more than 102 music directors in Hindi film industry from working with Krishna Chandra Dey in ” Tamanna ” [ 1942 ] to music composer Shamir Tandon in ” Umar ” [ 2006 ] . Thus it was an unprecedented 64 years – long – singing – career . The Government of India honoured him with the Padma Shri in 1971, the Padma Bhushan in 2005 and the Dadasaheb Phalke Award in 2007 . He was presented the Filmfare Life Time Achievement Award in 2011. Manna Da sang mainly in Hindi and Bengali; he also recorded songs in several other Indian languages . He sang around 1262 songs in Bengali : 611 songs in Bengali films and 356 Bengali non-film songs . He also sang 46 Rabindra Sangeet Songs in Bengali , 3 Dwigendra Geet , 84 Shyama Sangeet , 23 songs in Akashvani , 3 title songs for Bengali TV serials , 103 Bengali songs from non-released Bengali films and 33 Bengali songs of other varieties . He sang 35 film songs in Bhojpuri , 2 songs in Magadh and one song in Maithili language . He sang 13 Punjabi film songs and 5 non-film songs . He sang 2 songs in Assamese films and 4 non-film songs in Assamese language . He sang 7 songs in Oriya language and 1 song each in Konkani film and Sindhi film . He sang 85 songs in Gujrathi films. He sang 5 film songs in Kannada . He sang 2 in Malayalam – “Maanasamaine Varoo” from 1965 film Chemmeen and song “Chemba Chemba” from 1974 film Nellu sung with P Jayachandran both composed by Salil Chowdhary and lyrics by Vayalar. On behalf of all the students and staff of VIDUR Acting Institute , which is known as Vidur’s Kreating Charakters , I offer my condolences to his family . My heart goes to his daughters and other near and dear ones . 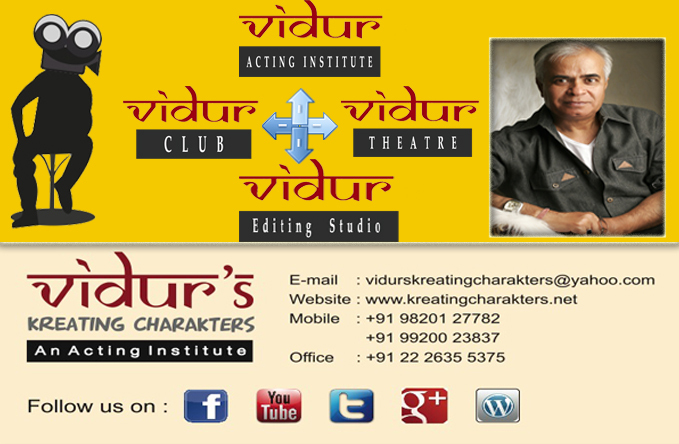 VIDUR Editing Studio , VIDUR Club and VIDUR Theatre would also like to offer tribute . It is clichéd to say but there will never be another Manna Dey . He bestrode the Hindi film music world like a colossus but unfortunately never got his due .